Hey guys and welcome back! Hopefully everyone made it through the post-holiday January slump alright. 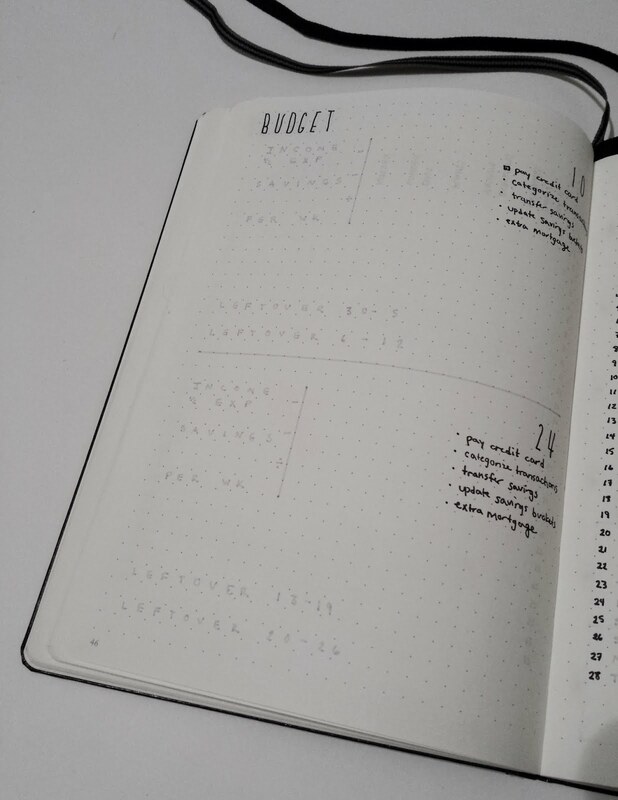 I'm especially excited to share my February Bullet Journal monthly layouts with you guys because it's the first time I get to show off my new minimal monthly spreads. First up, the monthly overview. 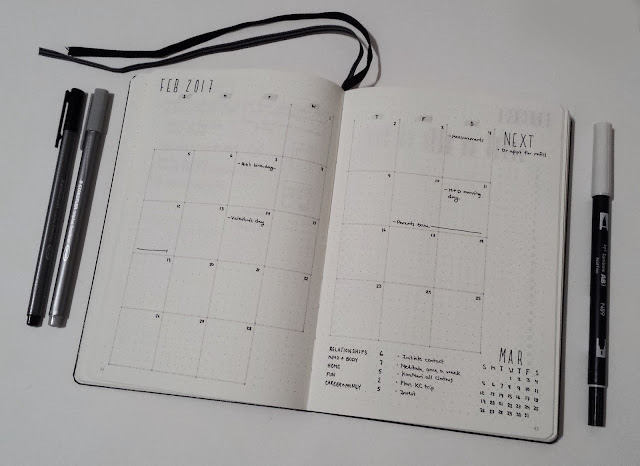 I switched to a calendar grid view back in October and I haven't looked back. It's certainly a lot different looking now, but I love the simplicity. New this month is my modified level 10 life reflection and some micro-goals for the month. 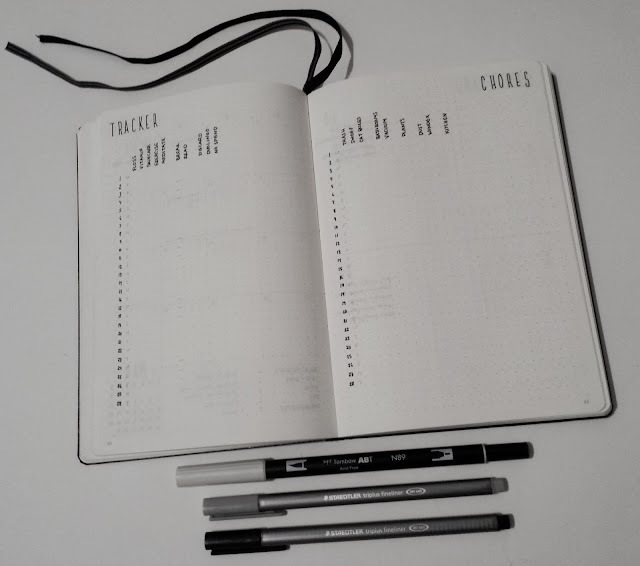 I created some annual goals in January and this will be a great way to keep making progress with them! Next up are my two trackers. I've been using a landscape tracker up until now so we'll see how the vertical tracker goes. My budgeting worksheet comes next. It's a lot of grey right now, but when I fill them out the black ink will really stand out and let me see what's actually important: the numbers! 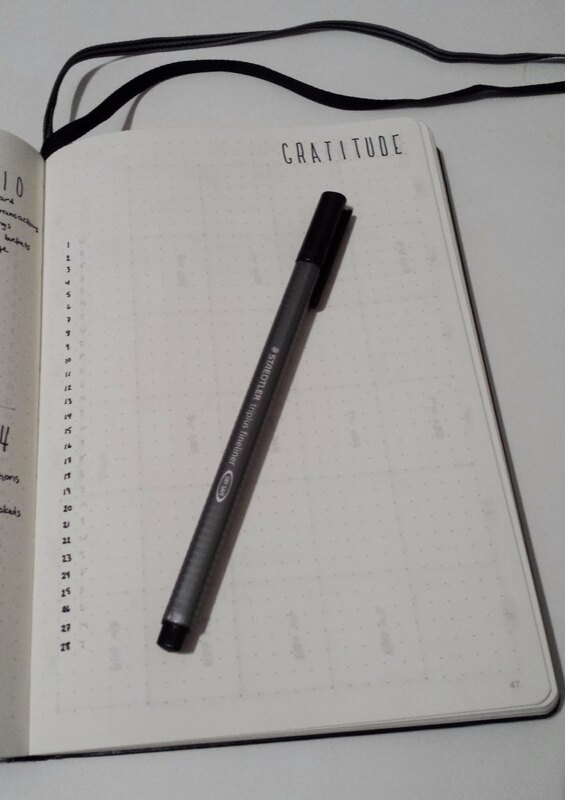 Nothing much has changed here with my gratitude log. Tried and true! And now for two new spreads! 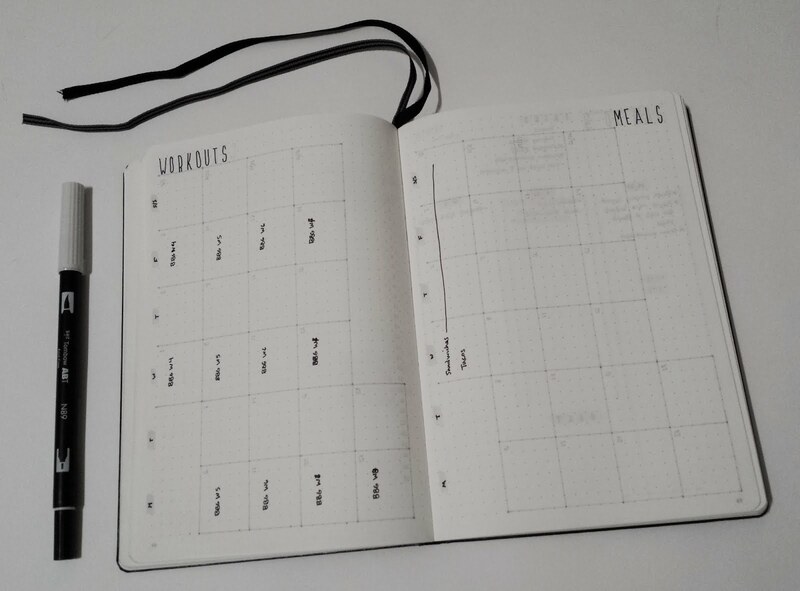 Awhile back I started devising a meal planning layout, but I didn't end up with a lot of room to write. Switching to a grid calendar will hopefully help with that. And while I was at it, I created a workout planner too. 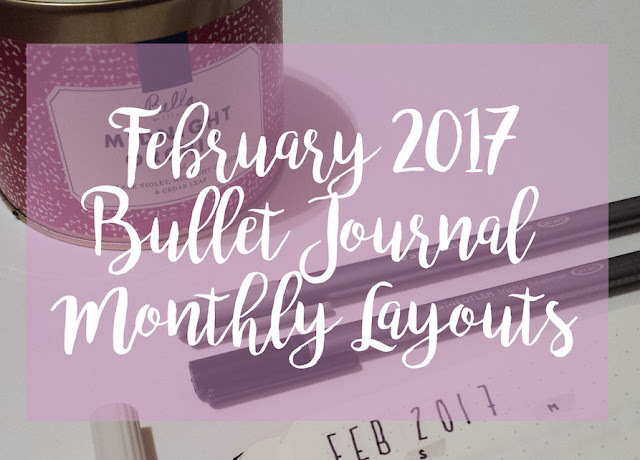 That's all for my February Bullet Journal monthly layouts! I hope you've enjoyed my beautifully bare new look! See you next time.